Rising jazz star Jeff Cosgrove joins veteran bandleaders and first-call sidemen Frank Kimbrough and Martin Wind in uncovering yet another facet of Cosgrove’s flair for challenging jazz. Like his prior recording project, the drummer is placed in a trio setting involving a pianist and bassist. 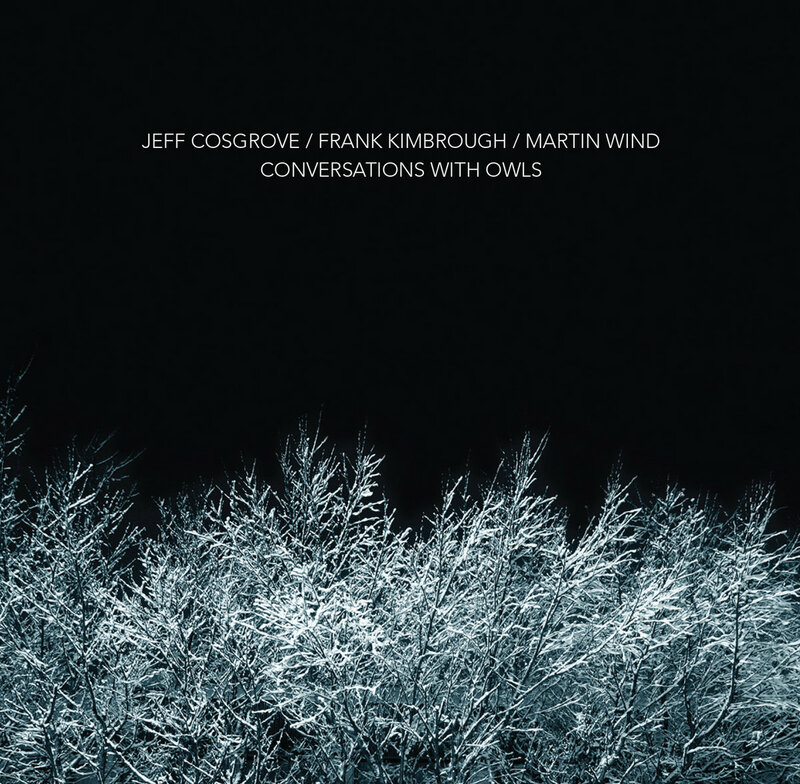 But as Alternating Current highlighted the spontaneous music-making of Cosgrove with free jazz all-stars Matthew Shipp and William Parker, Conversations With Owls (now on sale by Grizzley Music) is structured around a co-led effort that underscores a high spirit of collaboration around some imaginative arrangements. Taking in the open-ended, sensitive “The Owls,” where Cosgrove’s drum kit serves as a third conduit for emotion, it’s clear that the drummer is carrying on the legacy of his last mentor Paul Motian better than anyone is right now. Kimbrough and Wind deliver their notes with poignancy and the pauses between the notes with the same hushed passion. A bass solo ushers in “Stacks of Stars,” as unconventional and unpredictable as any I’ve heard in some time, and Cosgrove’s cymbals immediately connects to its unpredictable vibe. Kimbrough’s fractured notes gain momentum and evolve into a defined groove. “The Shimmer” is relatively short but also skittish, especially on the part of Cosgrove, who even then maintains a light touch, always leaving space unfilled as Kimbrough goes at his own, unhurried pace. Kimbrough’s facility for tapered angularity — at times sounding akin to the incomparable Shipp — bolsters the beauty to George and Ira Gershwin’s “I Loves You Porgy,” supported by a rhythm section that is likewise playing only the essential parts, leaving the listener to fill in the blanks in their own minds. “My Favorite Things” is another jazz standard that’s been done every way imaginable yet these three again find a different approach that’s also compelling. Turning it into a pensive, dark ballad, Wind locks in on an up-and-down repeating figure while Kimbrough takes his time revealing the true melody of the song. 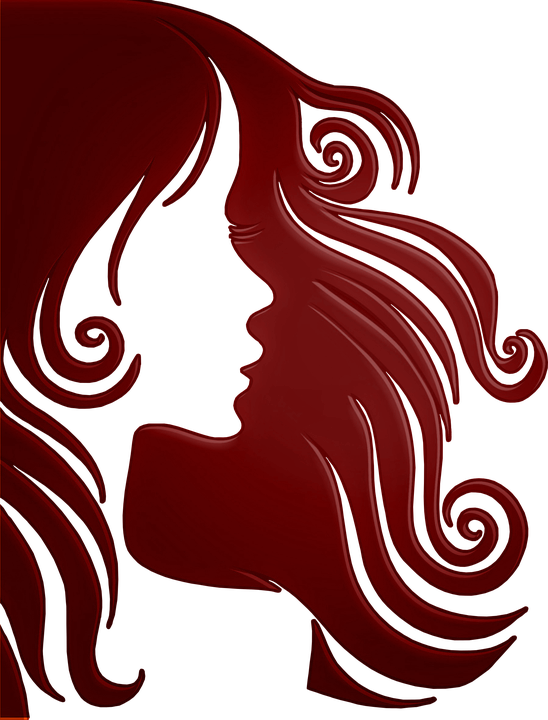 Once he reveals his intentions, Wind moves on to a harmonic counterpoint. Conversations With Owls isn’t really about birds, it’s about cats, and these cats are having musical conversations that are on a higher plane than most. The singular music of jazz legend Thelonious Monk has been interpreted by countless players over the years. Great jazz pianists like Bud Powell, McCoy Tyner, Bill Evans, Randy Weston, Barry Harris, Keith Jarrett and Chick Corea have dealt with his unorthodox dissonances, angular melodic twists, percussive attack and dramatic use of silences and hesitations. Saxophonists from Sonny Rollins and John Coltrane to Steve Lacy and Anthony Braxton and trumpeters from Miles Davis and Chet Baker to Woody Shaw and Wallace Roney have covered Monk’s music. Others like salsa king Tito Puente and trumpeter-conguero Jerry Gonzalez and his Fort Apache Band have interpreted Monk’s idiosyncratic rhythms through their own Afro-Cuban prism while the great Andalusian pianist Chano Dominguez has offered a passionate flamenco spin on Monk. 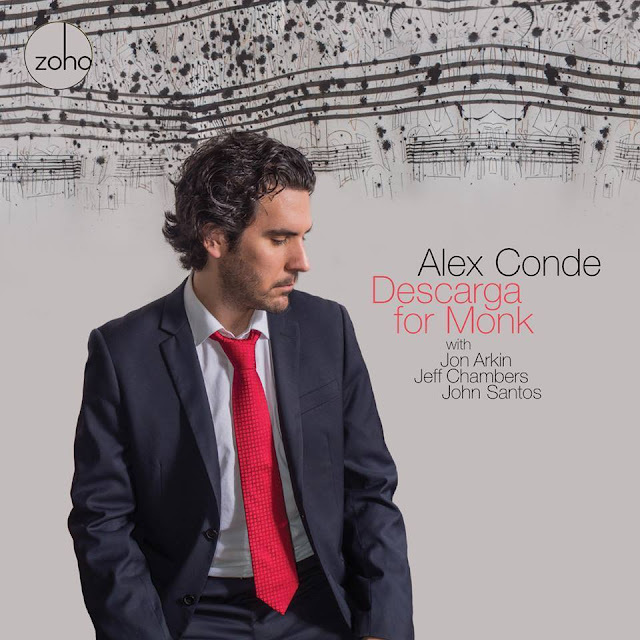 On Descarga for Monk, his ZOHO Music debut (and third recording as a leader overall), the gifted 33-year-old pianist-composer and Chano Dominguez protege has his way with the high priest of bop in an adventurous all-Monk program that is teaming with the spirit of Spanish duende. Accompanied by the Bay Area rhythm tandem of bassist Jeff Chambers and drummer Jon Arkin, and featuring special guest percussion master John Santos, Conde draws on his own personal experiences in the rich flamenco tradition to craft a stirring set of music that pays tribute to Monk while taking great liberties with the familiar themes and rhythms of such staples as Bemsha Swing, Evidence, Monk’s Dream and others. From his fiery buleria interpretation of Played Twice to his clave-fueled Catalan rumba rendition of Thelonious, as well as dramatic solo piano extrapolations on Monk’s hauntingly beautiful ballads Pannonica and ‘Round Midnight, this flamenco flavored take on Monk is as inventive as it is invigorating. Billy Brandt sings and swings with a style marked by soul, grit and groove. His original music speaks to everyman themes of love, loss and possibility, reflecting a depth of influences from Ray Charles and Lou Rawls to Frank Sinatra and Mose Allison. 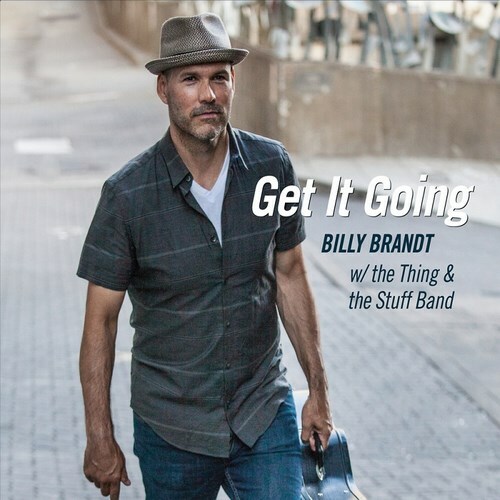 Armed with persuasion, stage presence and his rockin‘ group The Thing & the Stuff Jazz Band, Billy charms audiences with a confection of jazz, rock, blues and soul. Placing a high value on collaboration, Billy is inspired by the wealth of talent in the Seattle arts community. For the past six years, he has produced the highly successful variety shows The Big Gig and The Big Giggle, which feature the talents of Northwest artists from a mix of disciplines. First impressions mean everything. 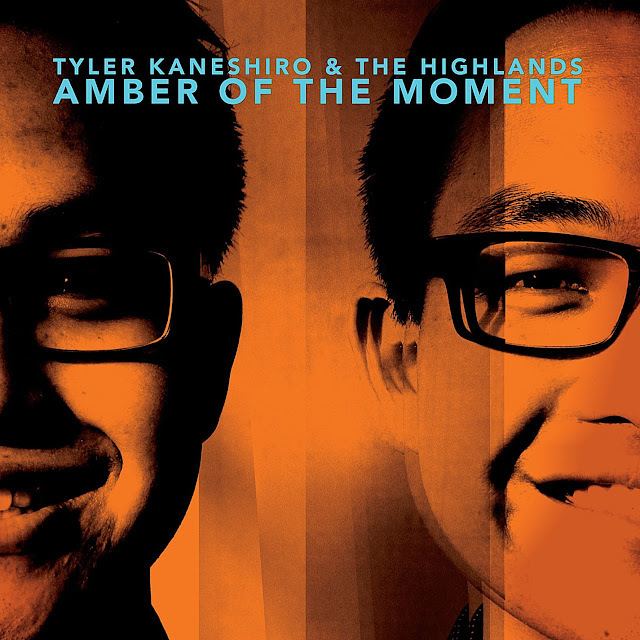 Amber of the Moment, trumpeter / composer Tyler Kaneshiro's debut album opens with a cloying cover of Bjork's "Who Is It." While nicely rendered, and suitably arranged, Kaneshiro's version plays it safe, replacing all of the oddness of the original with slick nu-jazz gloss. The cover of Bon Iver's "Holocene" fares better, though it's not that interesting a tune to begin with. 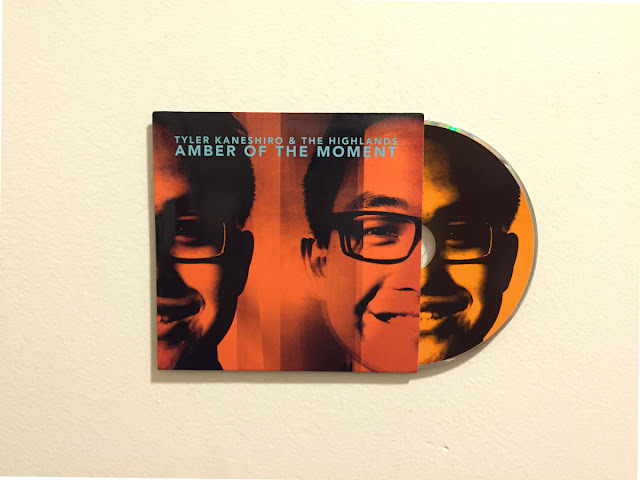 Further penetration into the tracklist of Amber of the Moment, however, reveals that Kaneshiro's overall musical vision is a bit more individualistic than his cover versions would lead you to expect. Occasionally, the music here even gets a little transgressive. The first such move comes courtesy of guitarist Keisuke Matsuno, whose gloriously effects-laden solo on "Irene" is both eloquent and attention-grabbing. The party continues with Matsuno's own piece, "Elevator," a dynamic 6/8 romp which uses an extended feedback-charged drone as a jumping-off point. Kaneshiro's "Dawn at Sea" is a dark, rubato piece enlivened by Chad Lefkowitz-Brown's emotive tenor solo against a backdrop of sizzling cymbals and spectral electronic sounds. "Passing Fields" is yet another pretty tune that is abruptly energized by Matsuno's guitar solo. The remainder of the album is less distinctive, but thoughtfully composed and arranged, with warm, inviting surfaces reminiscent of contemporary fusion artists such as Brian Blade's Fellowship, James Farm, and Kurt Rosenwinkel. As a player, Kaneshiro takes some cues from Dave Douglas: he's an economical soloist with a clear, bright, almost classically-informed tone, but with unmistakably jazzy phrasing. His website has a section dedicated to his work in film scoring, which seems compatible with his musical vision as presented on Amber of the Moment. This album, co-produced by 2013 Downbeat Critics Poll Best Vibraphonist, Stefon Harris, is a vision that melds the rough edge of rock with the spontaneous nature of jazz. It hopes to guide the listener through the sonic worlds of 21st Century imagination. 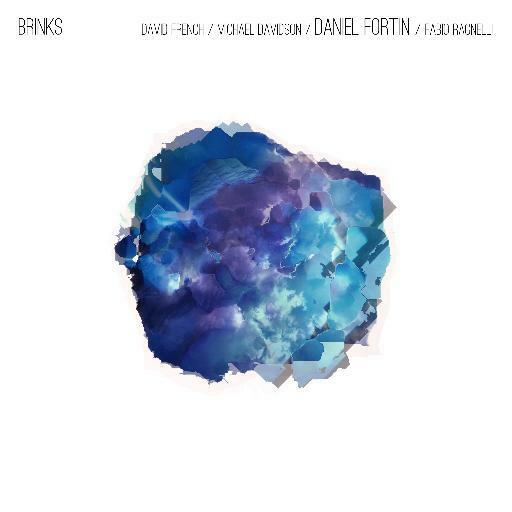 Dan-Fortin-Brinks-JDGAnd it’s no coincidence that I have also fallen for Brinks and the group that has made this record, led by the sublimely talented bassist Daniel Fortin. Mr. Fortin’s recital disc works best when resonating in sympathy with the instrument’s tonal grain and registral colours. The bassist has the technical facility like few bassists have. 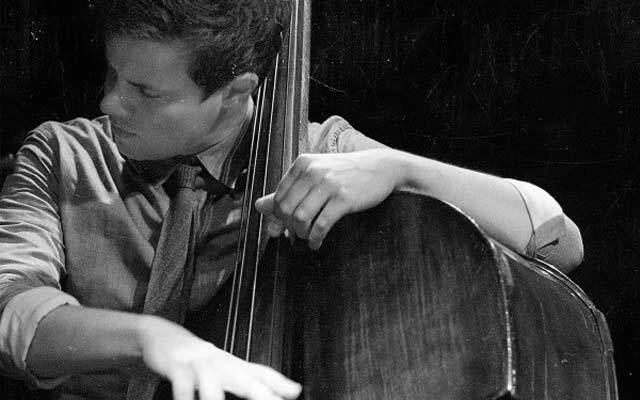 You do not hear much of his arco playing, on Brinks but pound-for-pound Dan Fortin is the finest pizzicato player among bassists of his generation in Canada. He favours colours that are dark, almost sinister with notes and lines seeming to tell stories that are forbidden. He makes his bass roar like a beast. And sometimes probably by lowering his E-string a semitone he harvests the resulting frequency overtones and here Mr. Fortin and instrument is as one. Of course Daniel Fortin is never alone. In fact I cannot remember a solo throughout the album. He has, however, surrounded himself with players who play a magnificent supporting role. The vibraphonist, Michael Davidson and David French seem to read the innards of his music well, as does drummer Fabio Ragnelli. Each of the supporting cast play with a physical commitment that transforms their instruments into tuned resonating chambers. Dan Fortin’s music is kept unsullied and dangerous. In writing as he does the bassist allows his fellow musicians to breathe deep – as deeply as he does – in a manner of speaking. This allows Mr. Fortin to explore the full topography of his instrument. However there are moments on the record – few and far between, that is, when some of the music’s more lyrical contours are allowed to break the spell of harder edged music. At times like these it might be possible to also caress notes and play lines that arc through the air like a series of parabolas. These softer moments are rarely allowed to get out of control, so that the playing is never mushily sensuous. There is real machismo in the music and this is equally true of the highly impressionistic “Verona” as we’ll as in the brevity of “Mince”. This music could not have been easy to record but Sam Ibbett the engineer of note on this session has brought off a near miraculous sound, especially to the bass. Whatever he has done is as close to making the music resonate in the body of the bass giving it a rich and woody sound. You don’t hear such expertise on recordings these days; not even on the much vaunted bass-direct that is used on the recordings for Wynton Marsalis.